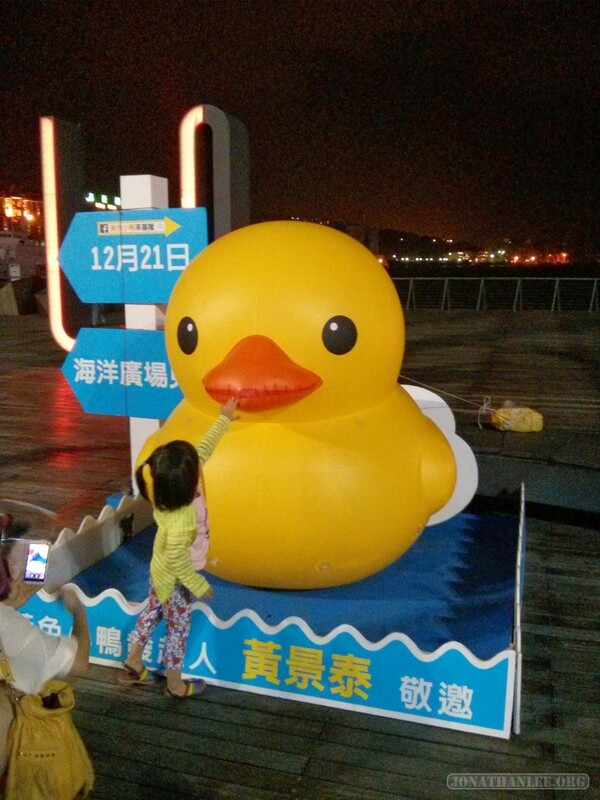 Presenting, the giant rubber duck (小鴨 – small duck) of Taiwan, as viewed in Keelung harbor. While I was staying in Taiwan, the rubber duck was somehow stupidly popular. 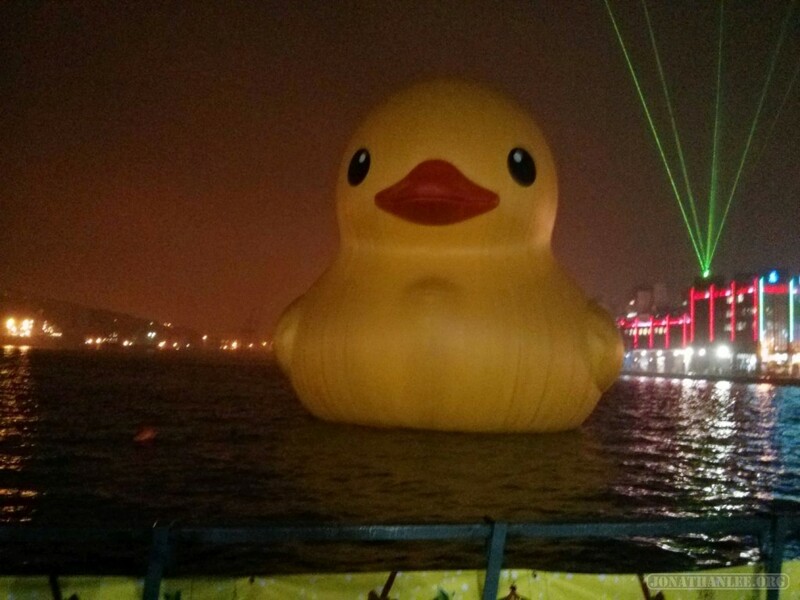 It’s like a regular rubber duck, like what you would take into the bath for your baby infant to play with – but huge. Like, 20 meters tall, huge. At first, I thought this was the stupidest thing every. Seriously. 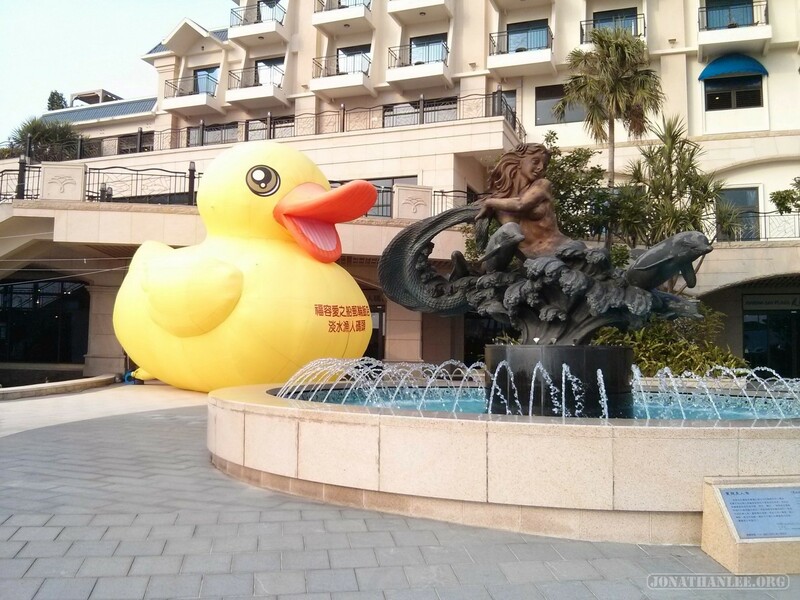 A giant inflatable duck. So what? 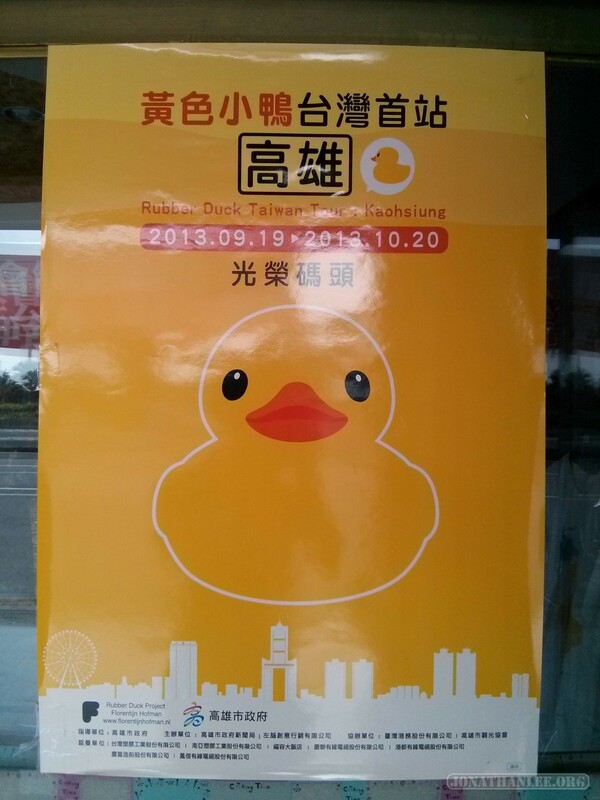 But then, as I traveled around Taiwan, seeing signs and tributes to the duck, I got more and more curious. After all, if everybody is visiting the damn duck, there must be SOMETHING interesting about it. 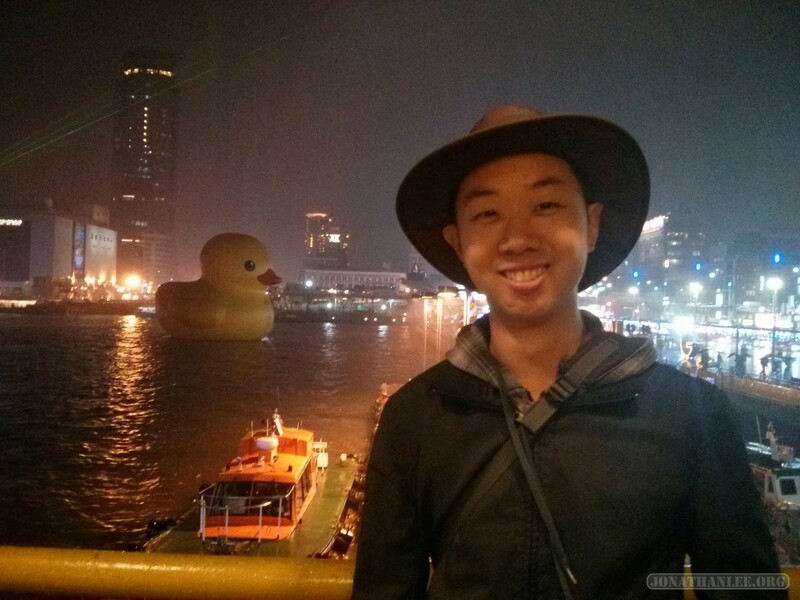 And so, I visited the giant rubber duck. 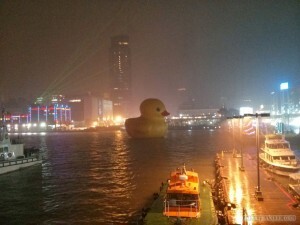 In Keelung harbor, the giant inflatable rubber duck floated majestically, untroubled by the two weeks of constant rain. 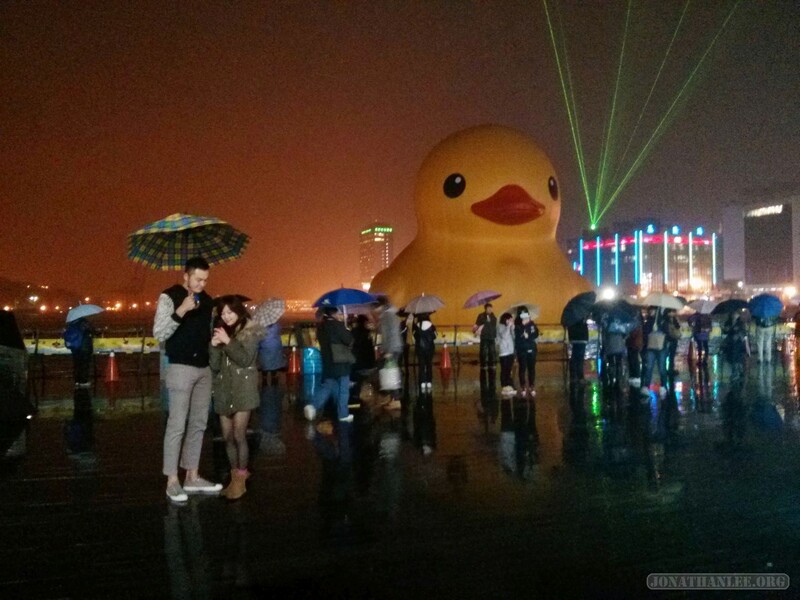 Usually, the pier would be chock-full of people, taking photos with the duck, but the bad weather had driven away most of would-be duck admirers. So I had a pretty good view of the duck. And it was pretty much what I expected. 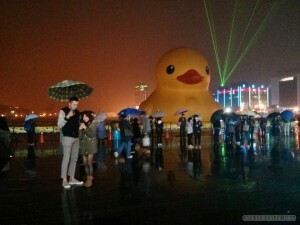 A giant rubber duck. Huge, yellow, and very much out of place. Curiously, the day after I visited the duck, it blew up. Or rather, it blew out. In front of a giant crowd, a tear developed in the duck, and all of a sudden it blew out, and collapsed into a yellow pile in the water. One moment, a duck. The next, a no longer a duck. Watching footage on the news of the duck blowing out, I laughed, guffawed, laughed some more. Clearly, I am not a good person.